For more than 70 years, McKellar Office Furniture Glasgow have been supplying and installing top quality office chairs in Glasgow. Read on to find out why our clients rave about our services and why you should care about your office having the right chairs. Why Do You Need to Select the Right Chairs for Your Office in Glasgow? If you’re thinking that office chairs are just furniture and there are other things that matter more in your office (like desks, natural light and even snacks), think again. Ask yourself this: where do your employees spend most of their time when at work? If your answer is “sitting at their desks”, then you need to keep reading. · The wrong office chair can cause back pain or worsen existing back conditions? · Sitting in the wrong kind of chair increases fatigue and can cause headaches? 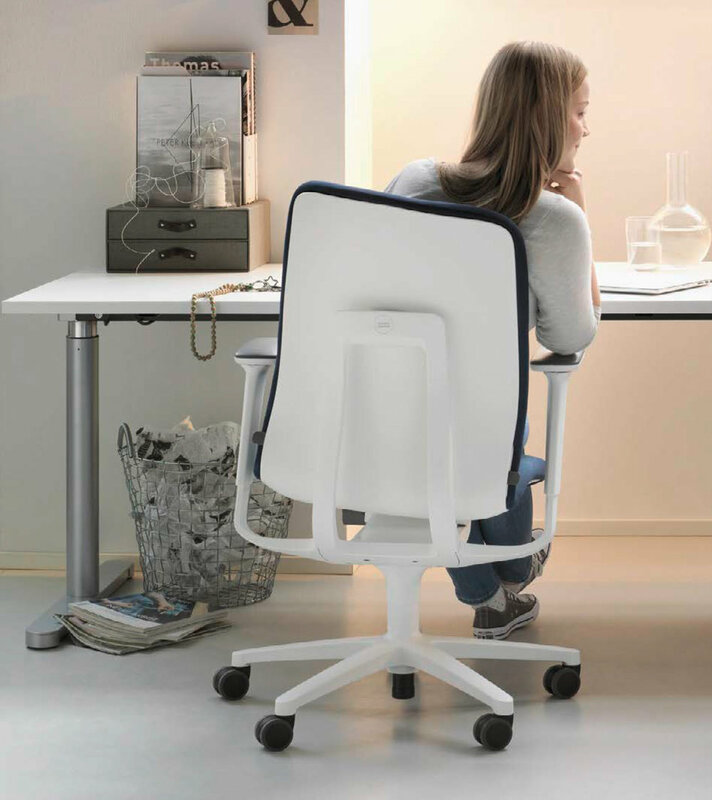 · The right chair can boost employee productivity and happiness in the workplace? · The office chairs you use reflect how much you care about your staff? · Every piece of furniture (incl. chairs) in your office should be aligned with brand values? Think about it this way: employee churn rate is at an all-time high across every industry in Scotland. With Generation X becoming active workforce, things are about to be even more unpredictable. Even more than Millennials, Generation X employees care less about financial benefits and more about being independent at work and appreciated. They evaluate everything, from the CEO’s friendliness to, yes, their new office chairs. In other words: “work-life balance” is becoming obsolete. Today’s employees are looking to be happy everywhere! How can you influence this? Start with the small things. Before you start searching for cheap office chairs in Scotland or companies that sell designer office chairs in Glasgow, ask yourself this: how much does the productivity of your staff really cost? Or how much does replacing key employees really cost? Choosing the right office chairs that your staff will love is not about money or associating your name with a famous brand of furniture designers. It is, first and foremost, about comfort and creating a pleasant working environment. Don’t worry; you can do this easily even if you have hundreds of employees in your Glasgow office. A simple on-line survey with key questions is enough. This way, you can find out how many of your employees have special requirements (chronic back pain, for instance) or would prefer standing desks. Are you only changing the chairs in your office or beginning a complete office refurbishment? If it’s the latter, set a specific budget for your chairs. Make sure it’s a realistic one. Also, take into account that you will need to buy a few extra chairs just to be safe. Secondly, consider your growth plans. If you are to hire new people in the same Glasgow office, you may need to be able to provide them with the same type of office chair as their peers. You don’t have to do it all alone. Talk to your office chair supplier in Glasgow and ask for recommendations. Be open and honest about your budget and your needs. Tell the consultants what you are trying to achieve. The right consultant should be able to match a realistic budget with office chairs that fit all your needs and wants. More importantly, office chairs sellers in Glasgow who are worth their salt typically work with interior designers and advisers to help you make the right choice. Together, you can make sure that the chairs you choose aren’t just practical, but also in line with your brand. Why not try before you buy? You can easily ask the seller to let you test one chair of each model you are thinking about buying and ask for your staff’s opinions. After all, they will be using the chairs, right? Even more, involving your staff in decisions on office design and furniture makes them feel appreciated. That’s it! As long as you know what you want, shopping for office chairs in Glasgow is a breeze! If you don’t know what you want, choose the kind of consultants who can help you make the right decision! Need help with choosing office chairs that your staff will love? Give us a call or drop us a line – we can help you make the right choice within (almost) any budget. Why Choose McKellar as Your Glasgow Office Chairs Supplier? · We care about YOUR needs. We know that every business is unique, with unique needs, so we’ll go above and beyond to learn all about yours and meet them. · We create our own quality standards. McKellar goes beyond the HSE recommendations for office furniture and provides you with chairs, desks and other pieces that redefine comfort and wellbeing. · We are more than office chairs suppliers. McKellar has partnered with Amos Beech Workplace Consultants to offer you a turnkey seamless experience. Our partners are interior designers and office fit out specialists that can advise you on the right type of furniture for any office. · We have been serving Glasgow companies for more than 70 years. The volume of repeat business and clients who have been counting on our services for years speaks about the high standards in customer care and quality we offer. Want to know more about how our skilled staff can help you pick the perfect chairs for your Glasgow office? We’d be happy to meet in person to discuss your needs and answer any questions you may have.